Subscription movie service MoviePass offered anyone willing to shell out $10 a month — less than the price of a single movie ticket in some parts of the country — the chance to see (almost) unlimited movies at any participating theater. For the consumer, it was the deal of a lifetime. But for parent company Helios and Matheson, it was nothing more than a grand experiment, and one even it knew had little chance of succeeding — at least not in the ways you’d traditionally measure success. Theaters, of course, benefitted from the new scheme. They recouped the complete cost of a ticket (minus discounts negotiated with MoviePass) each time a user purchased one with the app. Once inside, industry titans like AMC could begin pushing their criminally overpriced wares, like popcorn and soda. Over a single month last year, MoviePass CEO Mitch Lowe said subscribers spent some $11 million on AMC concessions alone. Theaters had an obvious benefit. But somehow, as consumers, we mostly overlooked everything else and just sort of figured MoviePass had some less obvious way of making money. Customers were key for the service, but not in a way that’s immediately obvious. But we’ll get to that in a second. Privacy advocate and whistleblower Edward Snowden once said of Facebook that it was a “surveillance company” that calls itself a social media platform. MoviePass isn’t Facebook, but the two are more similar than you might think. If the Company is unable to make required payments to its merchant and fulfillment processors, the merchant and fulfillment processors may cease processing payments for MoviePass, Inc. (“MoviePass”), which would cause a MoviePass service interruption. To simplify it even further, MoviePass is broke, doomed, and looking for a way out. And it’s no wonder. The service burned through some $40 million in funds in May, and expects to lose another $45 million in June. It’s not that Helios and Matheson haven’t tried. It recently tried to lure in new subscribers with promises of ‘bring a friend’ days and premium upgrades, like IMAX films. Its parent company attempted a reverse stock split to keep the company listed on the NASDAQ exchange. This week the company even secured an emergency loan of $5 million, which is essentially a bandage on a wound requiring amputation. For a company that relied on partnerships with corporate interests, not just consumers, it obviously made an effort to put its best foot forward. No one can argue it didn’t attempt to save its consumer-facing business. But, that’s not really the one that matters. We know all about you. We get an enormous amount of information. Since we mail you the card, we know your home address … we know the makeup of that household, the kids, the age groups, the income. It’s all based on where you live. It’s no that we ask that. You can extrapolate that. Lowe, essentially, was laying out the groundwork of an understood agreement. There’s an implicit and additional cost to the money you shell out for MoviePass each month. You’ll either agree or remain blissfully aware that your movement is being tracked before, during, and after using the app. In exchange, here are your free movie tickets. It’s the kind of deal the CIA or any number of other three letter security agencies would bend over backwards for. He later walked back previous statements, saying the company had disabled location tracking. If you’re inclined to believe him, the story didn’t end there. It only got weirder. In May, MoviePass announced a new partnership, this time with student loan refinancing service Laurel Road. You’d be forgiven for not immediately making the connection. Even with fun graphics, swimming in student loan debt and enjoying Black Panther at your local theater doesn’t seem to have a lot in common. But as Lowe revealed earlier in the year, the company is acutely aware of your current financial standing. And although the company, again, claimed it would never sell your data to third parties, there’s a lot of legal wrangling that can be done when gifting it to partners instead. This, seemingly, is exactly what happened. The partnership immediately started sending out strange advertisements to app users promising student loans or better rates to refinance. As studies have shown, it’s possible to tease a consumer into paying more for an item if they perceive it to be a good deal. If the average moviegoer visits a theater twice a month, paying $15 per visit, it’s natural to assume they’d at least consider forking over an additional $15 for the promise of unlimited movies. From there, it’s all about whether they actually do it. Much like your local gym, though, few maximize the benefits of their subscription. Some won’t show up at all, promising they’ll take advantage after the holidays or when things slow down at work. Others will continue going as normal, never really considering they’d be better served paying for a single movie ticket. This was the sustainable model for MoviePass, at least in theory. It just didn’t scale. 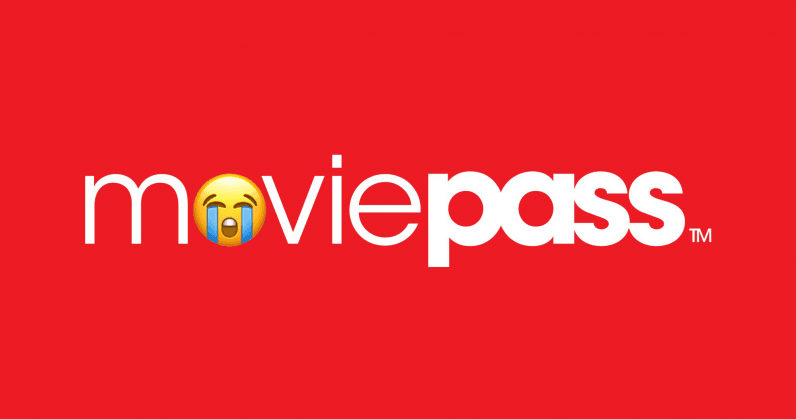 To reach critical mass, MoviePass executives had to do something drastic. It started by slashing prices. What was once $45 a month, would now be $30, and then $20, before ultimately settling at $10 — or cheaper, if you paid yearly. Subscribers came, quickly overwhelming the company’s cash reserves. It didn’t care. It planned to recoup front end losses through lucrative partnerships on the backend, the types of deals companies much larger than MoviePass sold their souls to secure. Unfortunately for MoviePass, these deals never seemed to materialize. It had now tried two business models, both that stood in stark opposition of one another. It had failed, and continues to fail. The $5 million loan will serve as a floatation device, but ultimately MoviePass needs to secure a partnership willing to buy its data, or squeeze more out of each user through price increases or dropping the ‘unlimited’ plan. Consumers, though, aren’t going to care much for either solution.